Home » Bollywood News » Will Salman Khan's Tiger Zinda Hai get a benefit from the delay in the release of Padmavati? The year 2017 has not been an amazing year for the Bollywood industry. However, some movies like Golmaal Returns and Judwaa 2 has done some justice to themselves by doing quite well on the box-office. 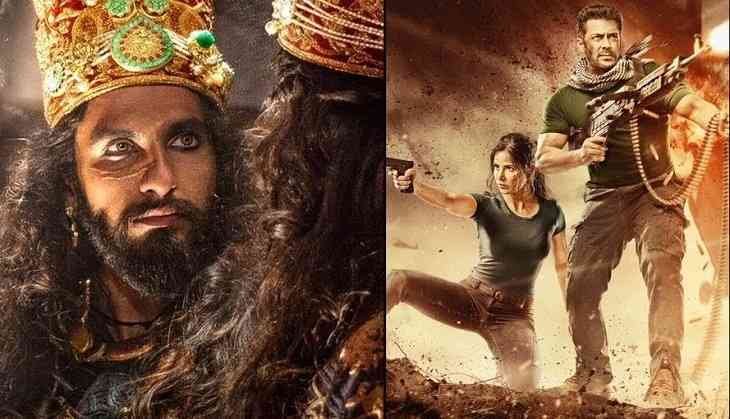 People had some expectations from Sanjay Leela Bhansali's 'Padmavati' and Ali Abbas Zafar's 'Tiger Zinda Hai'. After this announcement came, everyone got shocked with this because everyone had many expectations from both the movies. On the other hand, there are some who are talking about the fact that this delay of Padmavati might affect the business of Salman Khan's Tiger Zinda Hai and this might also become the reason behind the movie's success. Although before the drama took place, nobody was expecting that this could take place. The gap between two movies is so long that it becomes definite that the movie will get a benefit from it. Talking about Tiger Zinda Hai, the trailer and the recently released song of the film seemed quite promising. Not only Padmavati's delay, Salman and Katrina Kaif starrer will also get a benefit from the Christmas and New Year weekend.